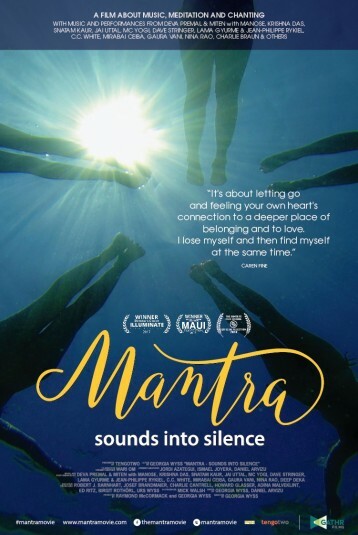 A feature-length documentary, exploring the new music and social phenomenon of chanting, MANTRA – Sounds into Silence shares the stories of people who are finding healing and a sense of inner peace by singing mantras together with others just like them. It’s a film about spirituality not religion, it’s about people reconnecting with their true selves and with others. As our characters’ stories about their connection to the music unfold, we meet the musicians who have inspired them and brought them together. Through these encounters we will discover how Snatam Kaur, Deva Premal & Miten, Krishna Das, Lama Gyurme, Jai Uttal and MC Yogi, amongst others, came to this music themselves and to the practice of Kirtan, and how, over the years, it transformed their lives too.